Instructors must teach the trainees to be well-versed in literature and military science in accord with the aim of turning out good offificers who have both the physical and mental abilities. 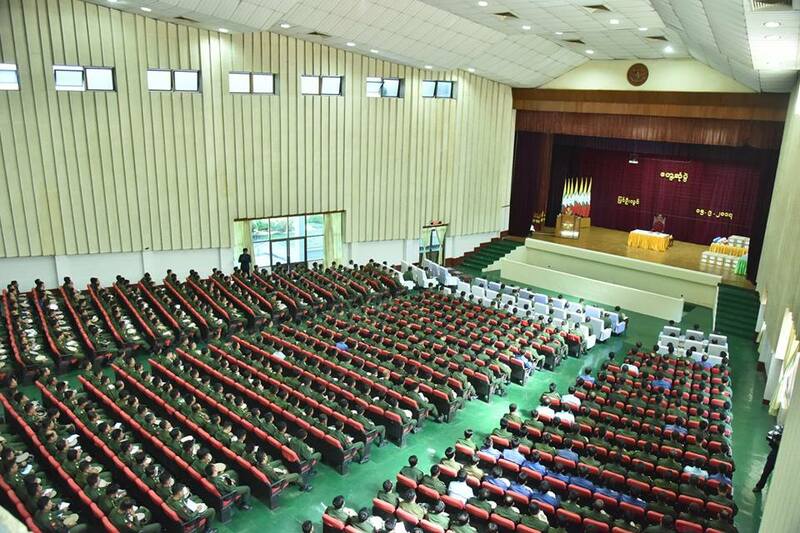 They must also steer the learning process of the trainees to become systematic, said Commander-in-Chief of Defence Services Senior General Min Aung Hlaing at his meeting with instructors of the academies of the station at the Convocation Hall of the Defence Services Academy this morning. Also present at the meeting together with the Senior General were Commander-in-Chief (Navy) Admiral Tin Aung San, Commander-in-Chief (Air) General Khin Aung Myint, senior military officers of the Office of the Commander-in-Chief (Army), the commander of Central Command, commandants of the station, commandants of the academies and training schools and officer instructors. 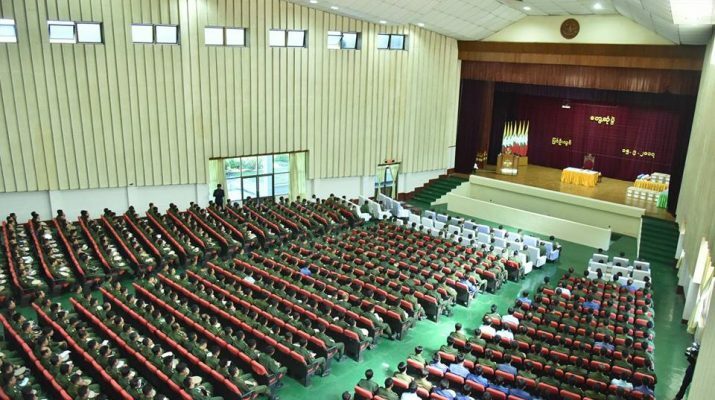 At the meeting, the Senior General said the Tatmadaw officers must strive hard while applying the intellectual power. They must be always in the process of promoting the teaching activities. They must study to understand the changing basic military rules. There is the total difference between the battles of WWI and WWII and the today’s battles. They must understand that air and electronic superiority ensures war victory. They must adapt themselves to the changing situation through learning, training and obedience in accord with the motto. 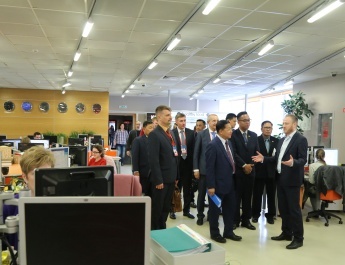 Subjects on literature are being taught according to the curriculum of the civilian universities in promoting the thinking power and views of the junior officers. They must read a lot to have better ideologies. According to the five responsibilities of a teacher, they, based on experiences, are to teach the trainees until they can apply their knowledge effectively in the practical field. There is brother guardian among the cadets as well as father guardian between the instructors and trainees. So like a parent who has also the five responsibilities, the course instructors are to urge the pupils to do good things while stopping them from doing bad things. They themselves also need to be disciplined and train their subordinates to follow the discipline, said the Senior General. As the discipline is the backbone of the Tatmadaw, officers are to follow the discipline with their self-consciousness. They must always try to progress to become good leaders and instructors. It is necessary to read and study books and literature so that they can be proficient in military art and literatures. For the trainees, they must show respect for their instructors and follow their teachings and advice in line with the five responsibilities of a pupil. Efforts are being made to promote the mental spirit of Tatmadawmen in improving their education. 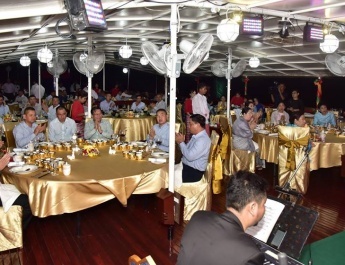 As education is the only thing the Tatmadaw can give as inheritance, encouragement is being given to Tatmadaw families and children of war veterans. There should be a good balance between income and expenditure. It is also necessary not to lead a life of indulgence. 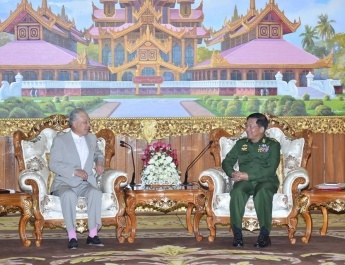 As the homes need to engage in manageable-scale agriculture and livestock breeding military units also need to run Tatmadaw-owned agricultural and animal farms. Self-complaisance and being complaisant towards others could lead to administrative problems. Administrative matters should be fair and square and all need to work with the spirit of being a parent, teacher and pupil. After the meeting, the Senior General presented packages of Shwe Phi Oo instant coffee mix and sport equipment for the officers, other ranks and their families, which the station commander accepted.